Begin by heating up sunflower oil and garlic into a small sauce pan on low-medium heat. 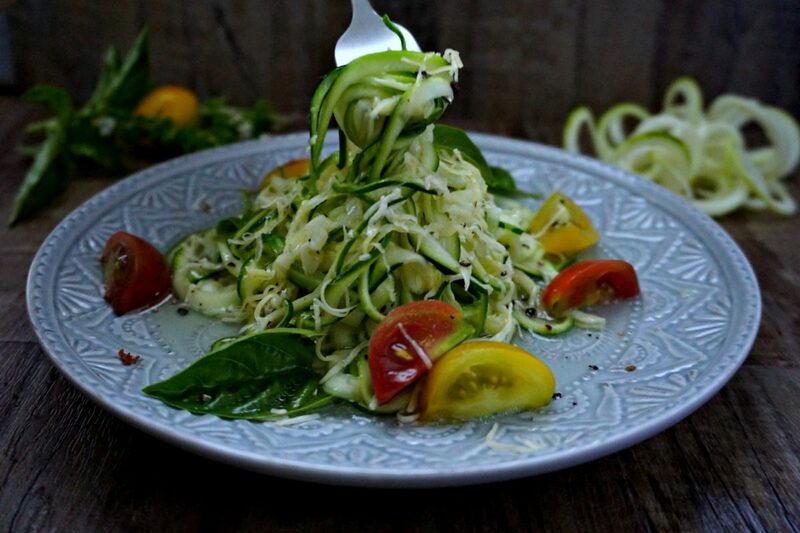 Once you begin smelling the garlic aroma, add in zucchini noodles. Saute noodles in garlic oil for about 3 minutes stirring every 20 seconds or so. Once noodles are sauted, salt generously, then remove noodles from pan to your plate using tongs to get rid of excess oil and fluid from noodles. Finish the dish by grating a generous amount of cheddar cheese on top following up with the fresh tomatoes, your choice of diced parsley or basil leaves and ground pepper. Enjoy!